Change is afoot at the $4.1 million capped Pooled Development Fund, MEC Resources (ASX:MMR). Since July, the small cap has restructured its Board and announced several major changes to its main investee, the unlisted oil and gas exploration company Advent Energy Ltd. It has also flagged a new direction for the company, hinting strongly at the potential for expanding its investment portfolio beyond oil and gas, and into renewable energy. Last week, the company advised the market that Advent had signed a binding and exclusive term sheet for the majority sale of wholly-owned subsidiary Onshore Energy Pty Ltd to Bonaparte Petroleum Pty Ltd. Onshore Energy holds 100% of EP386 and RL1 in the onshore Bonaparte Basin, Western Australia and Northern Territory, respectively. The agreement sees Bonaparte Petroleum acquire 90% of the fully paid ordinary shares in OE currently held by Advent. 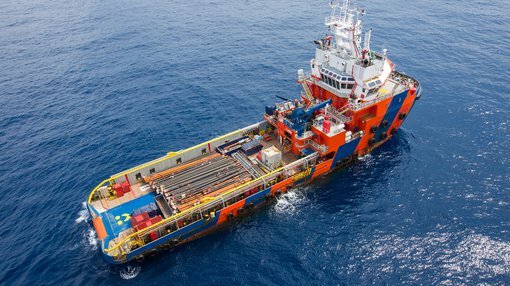 The week prior, MMR updated the market on a conditional farm-in agreement to Petroleum Exploration Permit 11 (“PEP11”) between Asset Energy Pty Ltd and RL Energy Pty Ltd, stating it had been registered as a dealing by the National Offshore Petroleum Titles Administrator (NOPTA). Asset Energy Pty Ltd is a wholly owned subsidiary of Advent Energy. The conditional agreement between Asset Energy and RL Energy provides for RL Energy to acquire 3D seismic data to meet the future 500km2 PEP11 permit work commitment by carrying project operator Asset Energy’s participating interest (presently at 85%) share of these costs up to a capped amount. MMR held 50% of Advent Energy as at 30 June, and is the parent entity for reporting purposes. In MMR’s Annual Report, released last week, the new Chairperson Michael Sandy addressed the changes in the opening report — noting that taking up the position involves facing “many challenges” but also, “whilst beset in recent years by many challenges, has significant unrealised potential, especially considering its status as an ASX listed Pooled Development Fund”. Sandy emphasised the company’s investment in Advent Energy, which holds the PEP11 project, boasting several advantages including proximity to the East Coast Gas market, but also unique challenges which require cutting edge 3D seismic data (as opposed to the existing historic 2D seismic data). He refers to the farm-in agreement with RL Energy, describing it as a “pragmatic arrangement in line with market conditions” and lists benefits of the arrangement including the reduction of near term cash outlays and MMR’s requirement to continue to fund the exploration efforts of Advent Energy at PEP11. On Friday, MMR announced the signing of a binding and exclusive term sheet for the majority sale of Onshore Energy Pty Ltd (OE) to Bonaparte Petroleum Pty Ltd (BP). OE is a wholly-owned subsidiary of MEC’s investee company, Advent Energy Ltd, and presently holds 100% of EP386 and RL1 in the onshore Bonaparte Basin, Western Australia and Northern Territory (respectively). BP will acquire 90% of the fully paid ordinary shares in OE currently held by Advent Energy. Upon the declaration of one or more new production licence or retention licence(s) consistent with or within the current boundaries of EP386 or RL1, BP will issue a 10% participating interest in each new licence to Advent, and the parties will enter into a standard joint operating agreement. Concurrently with the issue of the first new licence, Advent will also earn a 10% stake in BP, and transfer the remaining 10% of OE to BP. Advent will earn a further 10% in each new granted title in the event 15 million barrels of oil equivalent 2P reserves, as defined by the SPE PRMS, are independently certified in that title. Advent maintains an option whereby it has rights to earn back in to RL1 should it choose to fund conversion of RL1 into a production licence and corresponding field development within two years. Advent also will be reimbursed existing debt by OE upon future production milestones being met. In the event EP386 is neither renewed upon conclusion of its current term or a retention or production licence is not granted, Advent will resume direct ownership and operation of RL1. In recognition of the competitive market for Advent’s onshore Bonaparte Basin assets, BP will pay a break fee (of A$50,000) to Advent in the event BP chooses not to proceed with the transaction. MEC Chairperson Michael Sandy added: “This is a significant step forward for MEC’s investee Advent Energy. It provides a much needed stimulus to the onshore Bonaparte Basin assets, whilst providing a significant upside to Advent upon further exploration success in this highly prospective region. Last month MRR provided an update on the conditional farm-in agreement to Petroleum Exploration Permit 11 (“PEP11”) between by Asset Energy Pty Ltd and RL Energy Pty Ltd. The agreement has now been registered as a dealing by the National Offshore Petroleum Titles Administrator (NOPTA). MEC investee Advent Energy presently holds 85% of PEP11 and is Operator of the project. The conditional agreement between Asset Energy and RL Energy provides for RL Energy to acquire 3D seismic data to meet the future 500km2 PEP11 permit work commitment. MMR advised the market of details of three new board members, including new Chairperson Michael Sandy, in July. Sandy is a geologist with 40 years’ experience in the resources industry, predominantly in oil and gas, and has held executive roles with Oil Search and Novus Petroleum and worked as a consultant to various companies including Mobil and BHP. He has also held executive board roles with Pan Pac Petroleum, Burleson Energy and Caspian Oil and Gas, and non-executive director (NED) roles with Hot Rock and Tap Oil. Sandy is currently a non-executive director with Melbana Energy. Matthew Battrick and Andrew Bald assumed Non-Executive Director roles at the same time, with Battrick replacing director Darryl Moore. Goh Hock also resigned from his role as Chairperson, but has been continuing his involvement with MMR as a consultant. K O Yap and Heng Yu also resigned from their Board positions. Deborah Ambrosini has been continuing in her role as Executive Director, Company Secretary and Chief Financial Officer. Advent Energy’s majority sale (90% of fully paid ordinary shares currently held by Advent) of its subsidiary Onshore Energy, as well as its farm-in agreement with RL Energy for its PEP11 project, should both help to free up not only Advent Energy but its 50% owner and parent entity, MMR. The company’s Annual Report indicated as much, confirming that the $4.1 million capped Pooled Development Fund would be using its investee Advent’s shake up as an opportunity to diversify its own investment portfolio, with a focus on renewable energy plays. Amid all of the above changes, the company confirmed net assets of $10,554,799 in its latest Preliminary Report (as at 30 June 2018).